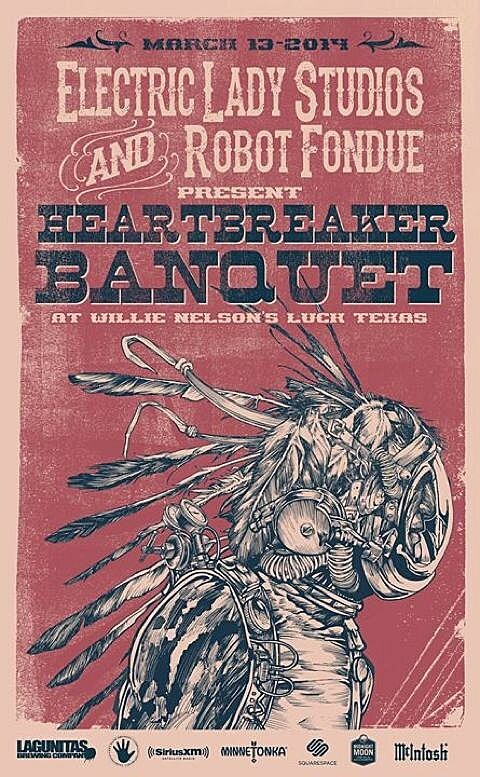 The Heartbreaker Banquet is invite only but ticket claims will be given away through the its mailing list and social media. A portion of the proceeds will be given to the Sims Foundation which provides mental healthcare to Austin musicians. Shovels and Rope, J. Roddy Walston and the Business, Lucius, the Felice Brothers, Clear Plastic Masks, Nikki Lane, the Wild Feathers, Elle King and a surprise headliner.